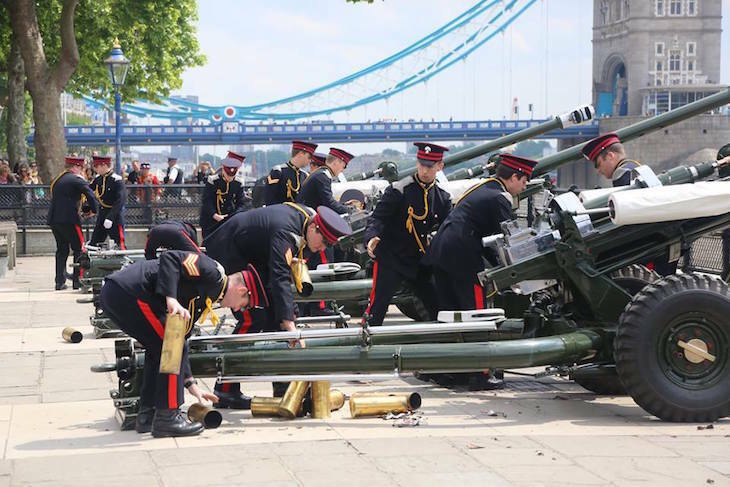 If you're out and about in London on Wednesday, you might want to keep a pair of ear plugs handy, as 103 rounds of gun salutes will be fired. 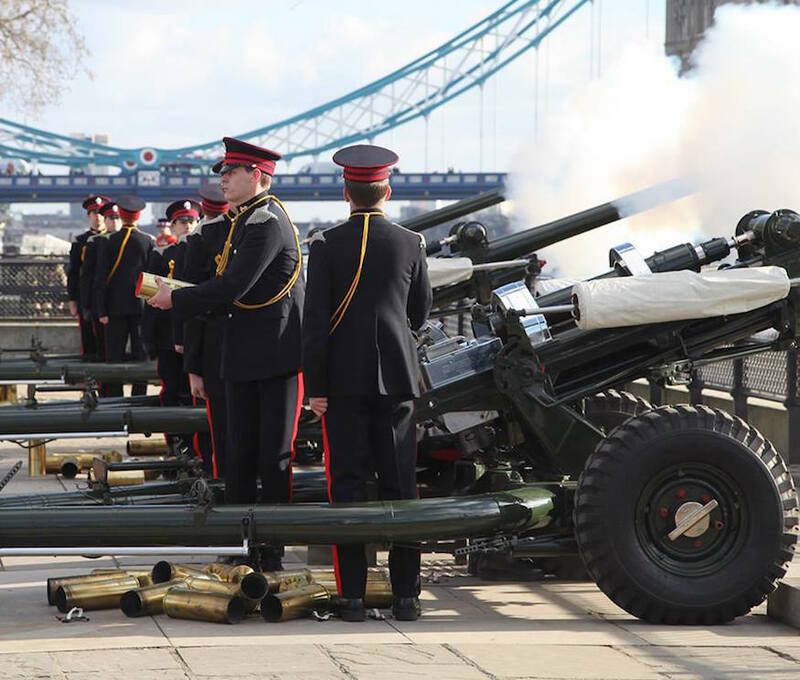 The big bangs commemorate Queen Elizabeth II's accession to the throne — her father, King George VI, died overnight between 5 and 6 February 1952, leaving her in line as the next monarch. 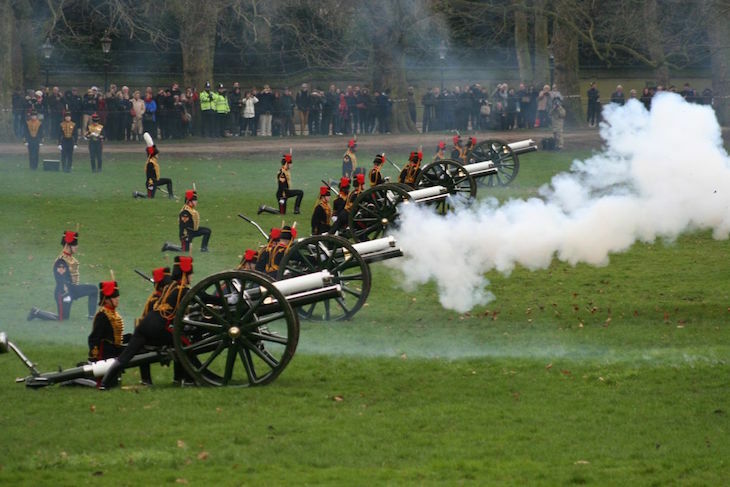 If you're in the Green Park area around noon, listen out for 41 rounds to be fired, at 10 second intervals — the standard 21 rounds, plus an extra 20 because of the location within a Royal Park. So that's seven minutes of hi-jinks. An hour later, there's even more of a to-do over at the Tower of London. 62 rounds are fired from the 'Wharf' (that's the stretch of pavement to the south of the Tower, between its walls and the river). Why 62 rounds? It's the standard 21-round salute, plus 20 more because the Tower is a Royal Palace, and then 21 on top of that (the website explains this these shots are because the Tower of London is in the City of London... except that it's in Tower Hamlets. So they might be wasting valuable blanks there...). The firing goes on for around 10 minutes, and we're just glad we're not responsible for keeping count. Hey, we don't make the rules. These guys do.